The WOMEN’S LEADERSHIP PROJECT (WLP) is a feminist of color mentoring, civic engagement and service learning advocacy program designed to educate and train young middle and high school age women of color in South Los Angeles to take ownership of their school-communities. We also have an ally group called: Young Male Scholars (YMS) which is tailored for African American young men and young men of color. #BossLady: Here is a snapshot of our Founder and Creator, Sikivu Hutchinson, sharing some thoughts and dialogue to our students. 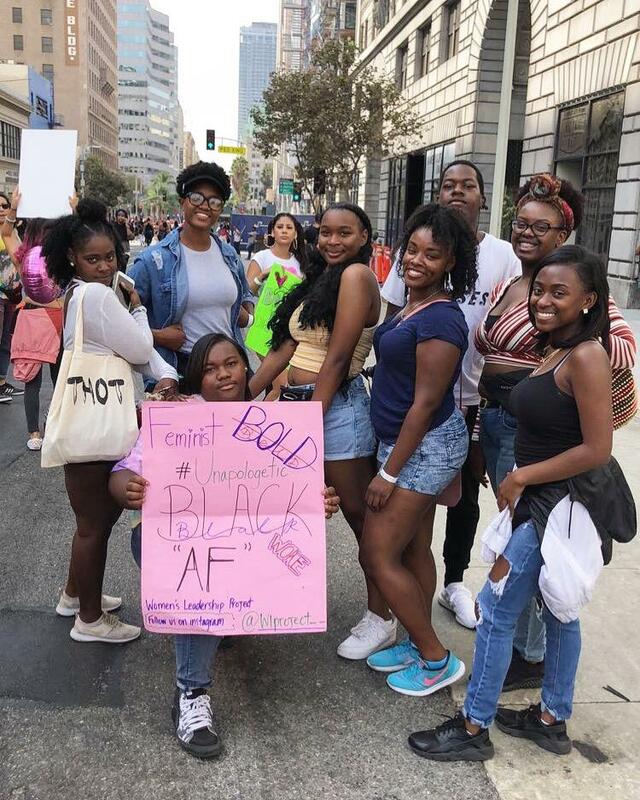 #WLPEVENTS: Below, our students had the opportunity to visit a feminist event in DTLA. The event was filled with feminists of all ages! Check out this snippet below of who we are, created and directed by one of our phenomenal film students, (Zorrie Petras). This video was created for a black gallery walk that was conducted at Gardena high School in 2018. It features some of our previous/current students in WLP. Current Update for November 2018!